Energy communities have existed since the early 1900s. With the energy transition they are receiving ever more attention. Last year the European Union even gave them a definition in order to be able to make more and better policies to support energy communities at both the national and local Level. Energy communities are working on all aspects of the energy transition, from energy production to renewable mobility. The holistic approach energy communities have, combined with their democratic governance model, makes them unique, and fit to take an important role in making cities more sustainable. 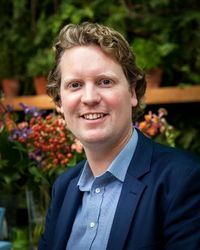 Siward Zomer is director of the cooperative association ‘De Windvogel’ and director of ‘ODE Decentraal’, and co-founder and board member of the European federation of energy cooperatives ‘REScoop.eu’. He graduated at the University of Birmingham (supervised by Prof. David Toke, a renowned scholar in the domain of social and political support vis-à-vis wind energy). After graduating Siward commenced work as a volunteer at the ‘De Windvogel’, and ever since he has been advocating energy democracy.